The National Youth and Consumer Safety Council urges you to spread the word about a hidden hazard found in many everyday products in your homes—button cell batteries. Button cell batteries are small coin shaped batteries—less than 20mm in diameter—that pose significant injury risks to children. You may not even be aware of this potential hazard because many of the devices in your home come with the batteries already installed. When swallowed, these batteries can cause severe burns. Ingestions can result in long-term complications requiring a feeding tube for nutrition, a tracheostomy tube to relieve airway obstructions and additional major surgeries. The number of ingestion-related injuries continues to increase as button cell battery use grows. The American Academy of Pediatrics Journal estimates that there is an average of 3,289 battery‐related emergency room visits each year, based on injury data from 1990‐2009. The CPSC has tallied, from 1997‐2010, an estimated 40,400 children under 13 years old treated in hospital emergency departments for battery‐related injuries. Check all of your products that use button cell batteries to be sure the battery compartments are secure. Immediately dispose of old batteries when you change expired button cell batteries. Keep unused new batteries locked away out of the reach of children. Keep in mind that these batteries aren’t just in children’s products, they are found in a vast array of everyday products such as hearing aids, bathroom scales, thermometers, car/keychain remotes and everyday products in your home. Check the floor and furniture for batteries that may have accidentally fallen out. Even your pets can fall victim to button battery poisoning. 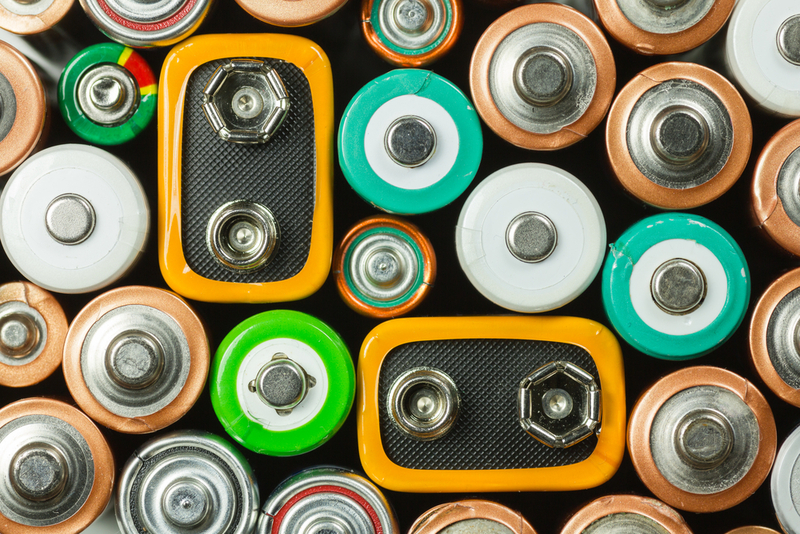 The symptoms of button battery ingestion may be similar to other childhood illnesses. Go to the emergency room immediately if you suspect your child may have swallowed a button cell battery. Tell the doctors and nurses that it may be a button battery. Help spread the word about button battery poisoning dangers. Let others know about the potential dangers. For more information about this hazard and for additional safety information, safety alerts and recalls go to TheSafetyCouncil.org. Pass it on and save a life! Injuries in and around motor vehicles increase significantly during the holiday season. In fact, Halloween is a time when incidents happen at the highest rates. 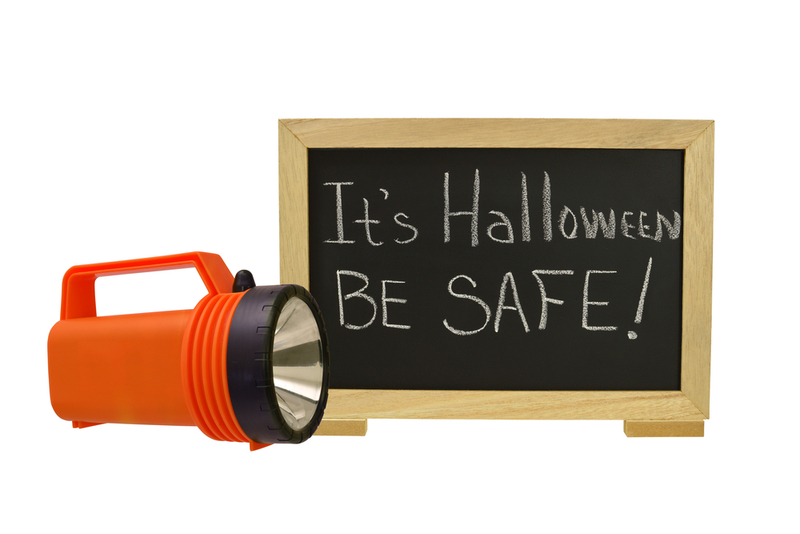 Take extra precaution to ensure that your children are safe on sidewalks, driveways, side-streets and roadways while trick-or-treating. Remember, no matter the size of your vehicle, there are blind zones that will hide the presence of a child behind, next to or in front of your vehicle. Some blind zones are bigger than the average driveway. When moving your vehicle, be sure your child or any child in the neighborhood is not in one of your blind zones. Look around your vehicle. Before backing up your car, be sure to walk behind your vehicle; but keep in mind that by the time you start your vehicle a child could easily have moved behind your car. You can never be too vigilant. Even if your vehicle is equipped with video and/or audio alert systems such as cameras or rear sensors, you must still look or listen for their warning and be sure to use your mirrors, check behind your vehicle and be sure your child is being actively supervised at all times. There is no such thing as being too careful. Wear visible colors at night. Be sure your child’s costume is noticeable by choosing light colored costumes. Take advantage of other safety gadgets. Take the extra step of attaching reflective tape and giving him or her a flashlight. Even if they are staying on the sidewalk, many homes turn the lights down to emphasize their Halloween spirit for the night. Accompany your kids. Whether you are on a side-street or in a driveway, it is important that your child is always with an adult or on a sidewalk and not blocking a driveway. Help spread the word about safety in and around motor vehicles and make this a safe Halloween. Let others know about the potential dangers. 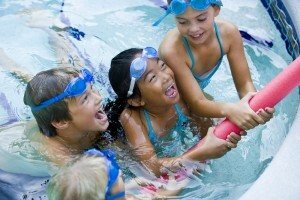 The National Youth and Consumer Safety Council informs and educates about child and consumer safety hazards; Council partner KidsAndCars.org educates on dangers in and around motor vehicles. For more information about this hazard and for additional safety information, safety alerts and recalls, go to TheSafetyCouncil.org. Pass it on and save a life! Carbon Monoxide (CO) is known as the silent killer because it is a colorless, odorless gas and often people don’t realize they are being poisoned. Take the time to have all of your heating appliances checked this winter by a trained service technician for any leaks, blockages or complications that could lead to carbon monoxide poisoning. A faulty furnace, blocked chimney, fuel-burning heater or portable generator exhaust can result in carbon monoxide poisoning. Install a carbon monoxide detector outside the bedroom area on each level of your home. Be sure your alarms have a battery backup. Carbon monoxide weighs the same as air so detectors should be installed in the middle of the wall or in an area with good circulation. 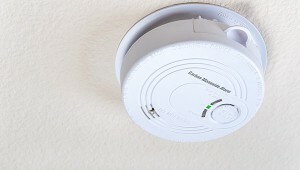 Carbon monoxide detectors lose their sensitivity generally after five years. Check the back of your detector for the manufacture date to learn when to replace your detector. Be aware of the symptoms of carbon monoxide poisoning such as dizziness, headache, nausea, fatigue and irregular breathing. Remember that oftentimes people have no symptoms. Never use a portable generator inside your home, garage, shed, or similar area. Carbon monoxide can build up within minutes when a generator is used in a confined or partially enclosed space. Check the exhaust pipe on your vehicle to be sure it is free from snow. Snowdrifts can also obstruct the exhaust on your vehicle. If your exhaust pipe is blocked, carbon monoxide can enter your vehicle. Never use an oven or gas range for heating. If you feel you have a CO leak or have any concerns about possible CO poisoning, go outside immediately, and then call 911. Help spread the word about carbon monoxide poisoning. Let others know about the signs of CO poisoning, symptoms and how to prevent it! The U.S. Consumer Product Safety Commission is sponsoring a nationwide carbon monoxide safety poster contest for middle school students to help warn people about the dangers of CO. Create a poster about the dangers of carbon monoxide. 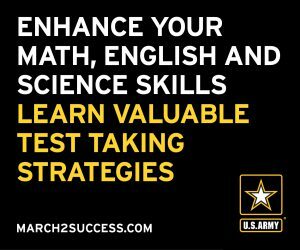 Your child can save lives and win money at the same time. For more information about this program and for additional safety programs, safety alerts and recalls go to www.thesafetycouncil.org. Pass it on and save a life! Jamie Schaefer-Wilson is the Executive Director of The Safety Institute. Before you deck the halls this holiday season, take a moment to ensure you are celebrating safely. Before using your holiday lights, inspect them carefully looking for loose connections, frayed or bare wires, and broken or cracked sockets. On most holiday lights available at retailers, lights with holographic green UL labels are for indoor use only, while those with holographic red UL labels can be used both in and outdoors. Never throw wrapping paper into the fire. Fires started with wrapping paper can ignite suddenly, burn rapidly and intensely, and create a bigger fire. A dry Christmas tree can be a potential fire hazard. Add water to your tree every day and keep it away from heat sources such as fireplaces or room heaters. Be careful and follow instructions when using artificial snow spray on windows or other surfaces. These sprays can irritate lungs if inhaled. Don’t let your child touch holiday lights. In many cases, electrical cords contain lead, which can rub off on your hands and shouldn’t be handled by children. You should also wash your own hands thoroughly after you handle your light sets. Additionally, don’t overload electrical outlets or run extension cords under carpets, across doorways, or near heaters. Use precaution with candles. Keep candles, matches and lighters out of your child’s reach. Place them in a non-flammable holder at least a foot away from other materials. Never leave a burning candle unattended. Check all toys for age appropriateness. Don’t let your toddler play with toys he receives as gifts unless you are sure they are age appropriate. Check them to confirm there aren’t any small parts or pieces that can separate and become a choking hazard. Never leave any food cooking on the stove unattended even for a moment. Stay in the kitchen and keep an eye on the food on your cooktop. When using your oven continue to check on your food. Your turkey will be cooking for hours, but someone must remain in the home to make these frequent checks. Keep kids three feet away from the stove. Use the back burners of the stove and turn all pot handles towards the wall. A tip for the littlest ones: Never give your child pots and pans to play with, even if he or she is playing on the floor. Your child will get confused and may not know the difference between a pan on the hot stove and one she is playing with on the floor. Beware of cross-contamination when cooking. Never thaw a turkey or any meat on your countertop. Turkey, chicken or meat should be thawed in a refrigerator, inside its original packaging, or on a plate or in a microwave oven. 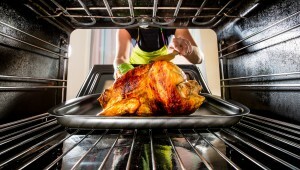 If you thaw turkey in a microwave, you will need to cook it right away. Turkey should also be cooked to an internal temperature of 165 degrees. Countertops, cutting boards, knives and other utensils should be cleaned thoroughly after use with hot soapy water and be sure to keep all knives and potentially sharp utensils away from kids. Keep a multipurpose dry-chemical fire extinguisher in the kitchen. This is one that can put out both electrical and grease fires. If you haven’t changed the batteries in your smoke detectors, be sure to do so and test them to be sure they are working. Several smoke alarms have been recalled over the past few months. Check the website for the Consumer Product Safety Commission to see if yours was recalled. Last, enjoy the day with your friends and family! 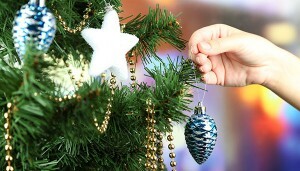 To learn more about holiday safety along with food and product recalls during this season go to The National Youth and Consumer Safety Council’s website at www.thesafetycouncil.org. Jamie is currently the Executive Director of The Safety Institute. The Safety Institute examines areas of injury prevention and product safety across a broad spectrum. The Institute bases its plans and priorities on issues that require greater study and emphasis, as well as those which may be underserved by other organizations and advocates. Jamie authored two parenting and safety books, The Baby Rules: The Insiders Guide to Raising Your Parents and The Consumer Reports Guide to Childproofing and Safety and successfully fought for safety legislation on Capitol Hill.